Princess Isabelle's sister, Princess Gabriella, loves to have new adventures, and because she's friend with all the creatures of the sea, they love to help her. Here she rides her horse out of Meamare, the mermaid city, toward the coral reefs. 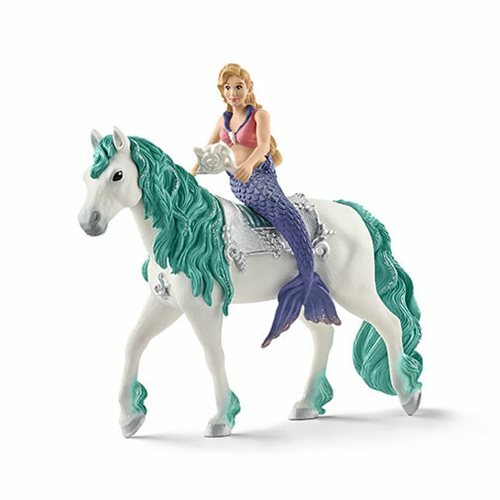 Measuring about 7-inches tall x 6-inches long, this Bayala Princess Gabriella with Underwater Horse Collectible Figure includes a mermaid figure with a movable arm, a horse, and a brush accessory!